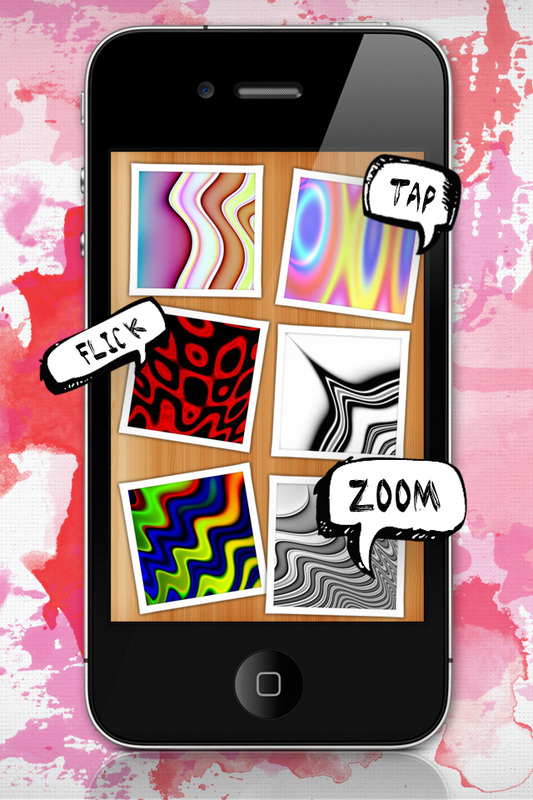 Play and interact with abstract, psychedelic artwork and your photos on your virtual coffee table. The artwork is available in HD resolution and can be used as wallpapers for your device. The featured artwork was created in the App, Artwork Evolution. Each image was evolved and mutated with other images to create a colorful assortment of images.